Recently I feel as though I have been cheating on Mr Blake with Charles Dickens. For the past few years I have been pretty obsessed with William Blake. From reciting his poetry to anyone who will begrudgingly listen, to seeking out the home where the young William lived when he saw his first vision. I have now shifted my energies to Mr Dickens. 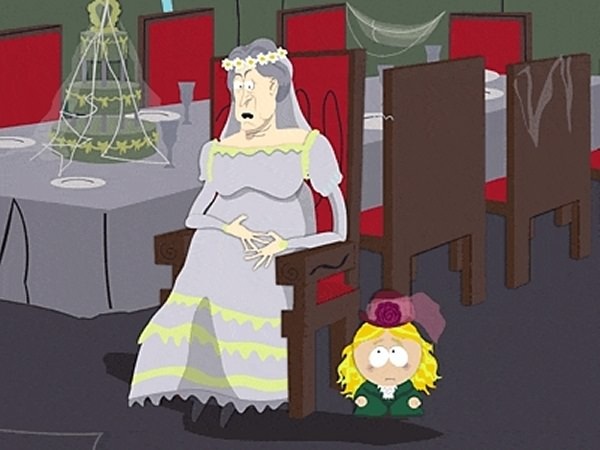 Much to my delight, I recently stumbled across the Great Expectations episode of South Park. Yet, I was left disappointed. Trey Parker and Matt Stone managed to stay close to the actual story, recreating Pip’s loveable optimism. But it seemed that they felt too restricted to the original plot, failing to delve into the weird and wonderful world viewers are used to. I can’t imagine viewers who hadn’t read the book would find much of the episode amusing. However, it reminds us of Dickens genius. His stories written over a hundred years ago are still accessible to the modern readership. A Christmas Carol being the obvious choice, recreated in countless ways from my personal favourite, The Muppets Christmas Carol, to a Doctor Who adaptation. Like Shakespeare, Dickens creates timeless plots that can be appreciated and understood for generations to come. Delighted to see that Dickens is getting the CL treatment. Can we hope for more ? Dickens was force fed to me in the form of ‘Hard Times’ in Eng Lit but the deconstruction and analysis via a truly inspired teacher encouraged me to read further into his repertoire and grow to love it. Never caught the South Park reworking which would , were he alive today , no doubt have struck a chord with Mr D himself. Do entirely agree that a Muppet Christmas Carol is an entirely fitting homage and that Doctor Who gave it a sympathetic makeover as well. Timeless plots , indeed , as well as themes which we can still , sadly , identify in modern examples of social realism. Nice to have you back , Catherine.